This entry was posted in Home Schooling, Mothering, Sewing. WOW! That is wonderful. She did a great job. I am so glad you let me know about this. 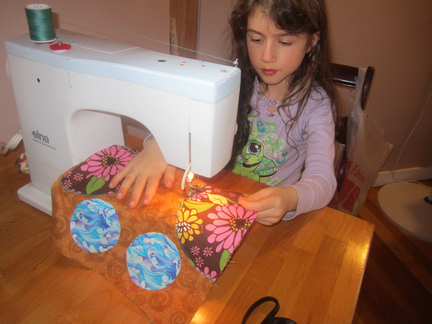 She is going to be the next sewing star for sure! 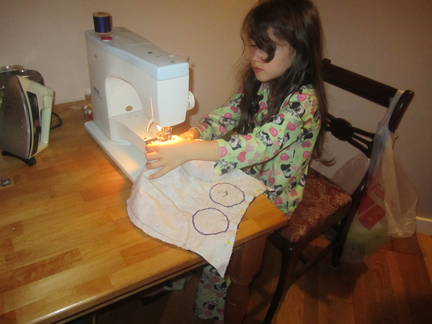 I have been wanting to start my 7 year old on the sewing machine and I was worried it might be too soon. Maybe during christmas break we will give it a whirl. Hope she enjoys snuggling with her new pillow! Great job, Kaia! 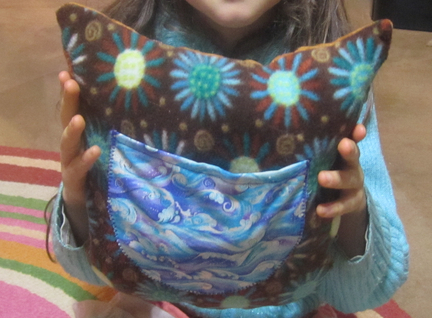 We’ve been doing some sewing here, too — so much fun! wow! that is awesome, great job kaia!! Kaia I am sooooooooo impressed! And an owl. In Greek mythology, owls are very good karma and so wise. 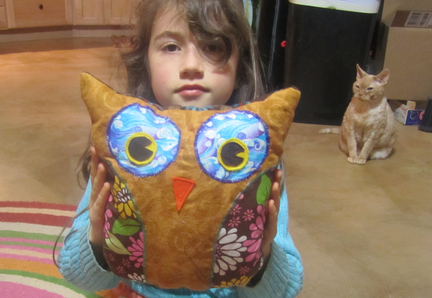 For the Goddess Athena of Greece, her symbol is an owl for wisdom. wow, that is amazing!!!!!!!!!! great job!